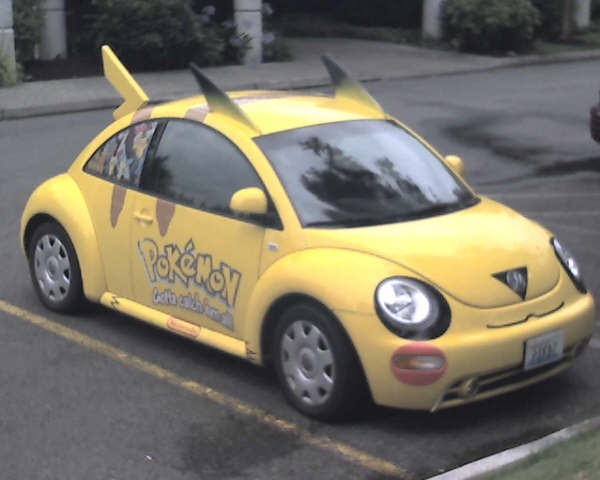 Pikachu slug-bug, no slug back! Nintendo’s campus is about a mile from my office in Redmond. It’s a pilgrimage my kids love to make when we need to take a console or device in for repairs. Sometimes you see the strangest (and most fun) things there. This was tucked in a slightly out-of-the-way parking lot. So, if they gave a train this treatment, would it be called a "pika-choo-choo"?